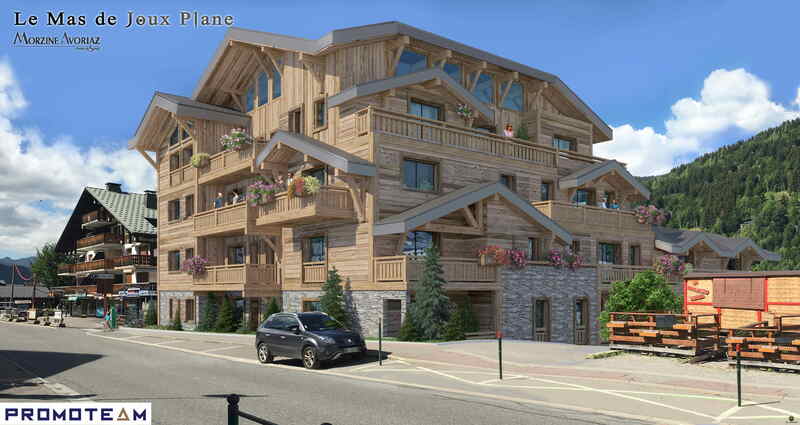 The Mas de Joux Plane is the latest prestigious development launched exclusively by Morzine Immobilier. Commanding a prime location the property faces the Pleney slopes in the very centre of Morzine. The Mas de Joux Plane sets a new standard for luxury new-build properties in the resort, offering 22 individual residences varying in size from 1-bed apartments to 5-bed duplex penthouses. The development will also include one 180m2 triplex chalet with a sizeable 190m2 garden within the development. The developers have strived to respect the Alpine traditions and the heritage of Morzine. You’ll find local stone and larch wood cladding with advanced ecological technology throughout. The Mas de Joux Plane occupies an enviable location just a stone’s throw from the ski lifts and with an abundance of bars, restaurants and shops right on your doorstep. Properties are also conveniently located close to two new ski-lifts which would allow even easier and quicker access into the wider Portes du Soleil area. All apartments inside the prestigious Mas de Joux Plane development can be personalised to reflect your individual style and taste. High-end finishes are available to all, with each property including a private terrace, balcony or garden from which you can enjoy the surrounding views. A parking space and ski storage come as standard. Demand for central Morzine properties is extremely high at the moment, especially amongst those looking for a rental return. The Mas de Joux Plane therefore offers an exciting investment opportunity and the chance to claim back the VAT element of your purchase price, representing a saving of 20%. 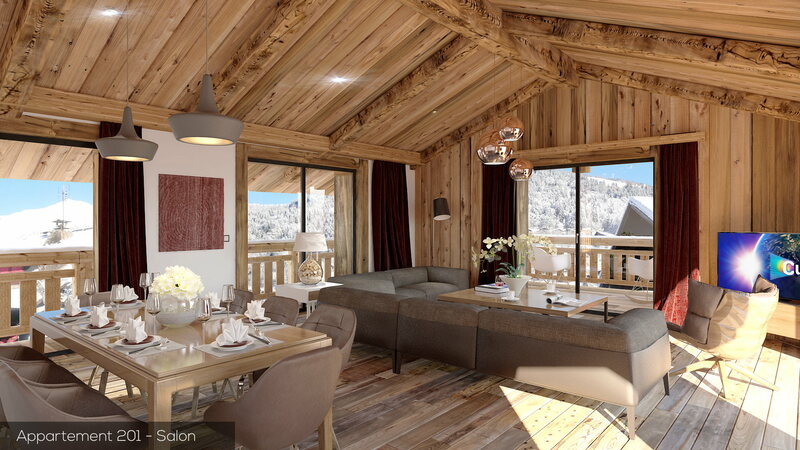 Apartments at the Mas de Joux Plane will be delivered in December 2019, just in time for the winter season. Prices range from €290,000 for a 1-bed apartment covering 35m2 to a 5bed chalet priced at around €1.9million.